Absolutely eliminate incorrect order fulfillment while increasing your packaging speed. Advanced Order Processing makes filling orders a breeze 100% correct every time! No wrong colors or items sent ever. When picking and packing items large and small and trying to get them out to customers you or your staff inadvertantly make mistakes. You ship a similar item, with a similar color or location. Sometimes its the new guy or temporary help. 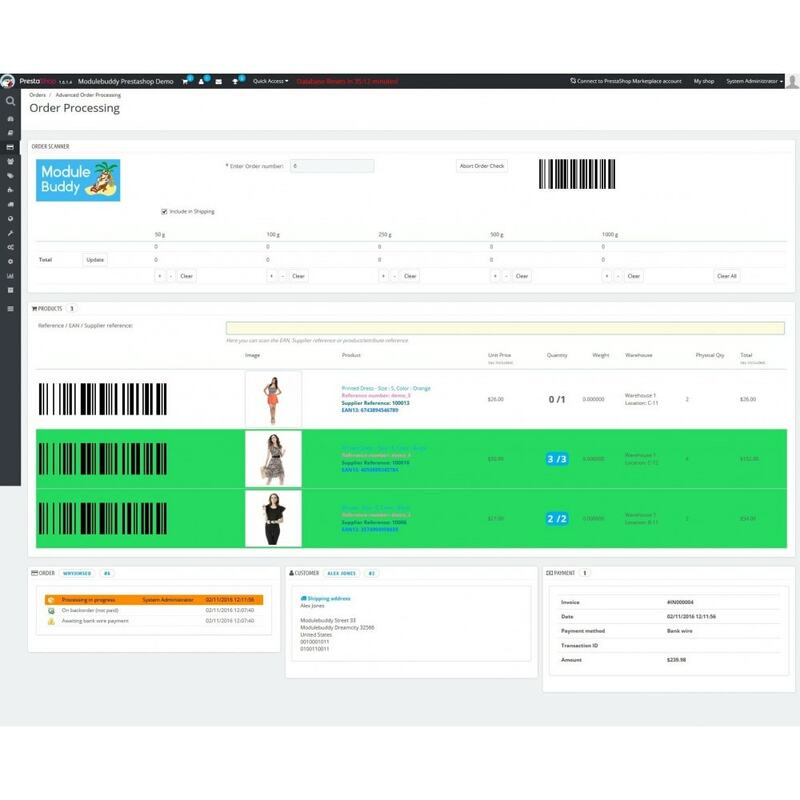 Using ModuleBuddy's Advanced Order Processing the order packer can visually and programatically confirm that every item that makes it into the shipment is the right item and nothing is missing from the order. Save loads of hours in customer service and return processing time. Get the right product shipped the first time. Small businesses and Enterprise alike benefit from accurate, repeatable, and human error free order fulfillment. Prestashop's solution provider from experienced business persons for business persons. Best practices for Prestashop users is only a few clicks away. This module pays for itself immediatly in convenience, shipping, and saved man-hours. How much does customer good will cost? Smart Merchants implement ModuleBuddy™ apps into their business flow and reap the benefits. Our module is simple to setup and even easier to use. No training, and even the slowest person in the room can be delivering 100% accurate and fast shipments in under 10 minutes. Module tracks weight and number of shipments per cycle. Allowing easy tallying for your bulk shipping reports. Can be used concurrently by each logged in order packer. Works great on TAB, Desktop/Shipping Station, or mobile device. If you can scan to it you're Golden! This moduleis an extremely versatile toolkit for your online store. Deleteold or unused data, check your configuration and check the speed of your Prestashop - and relaxknowing that you’re protected by the integrated data recovery system. Create a FAQs page for your PrestaShop website and answer all the popular questions your users ask. Make necessary information accessible. Customer's will experience orders fulfilled accurate to what they order EVERYTIME leading to increased satisfaction. 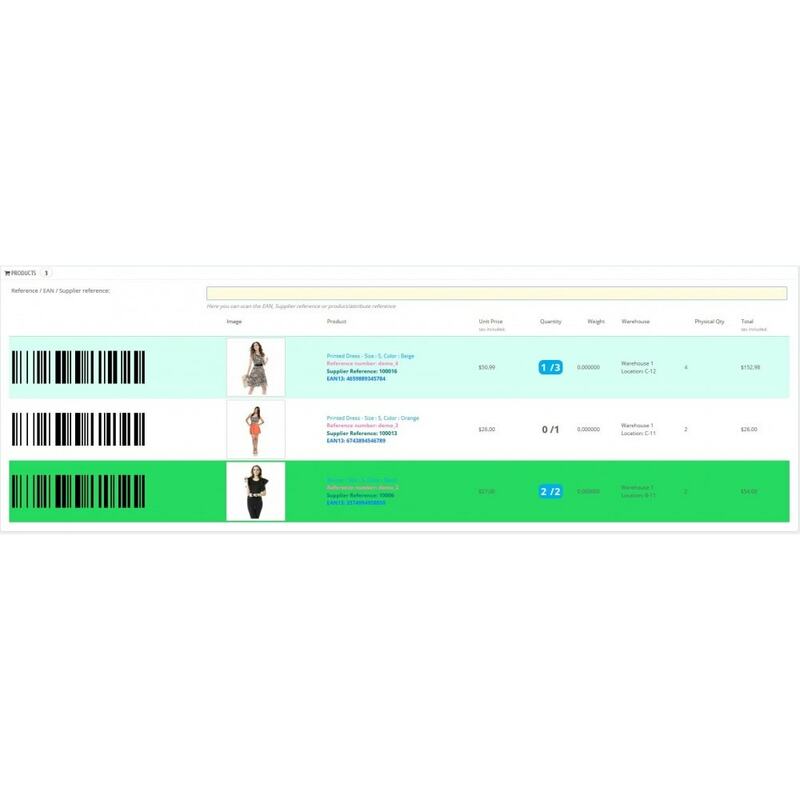 No more shipments of wrong colors, sizes, products since the human source of error can be completely removed (barcodes) or reduced to under 1 in 1000 sans barcodes. A high qaulity branded scanner like Datalogic. 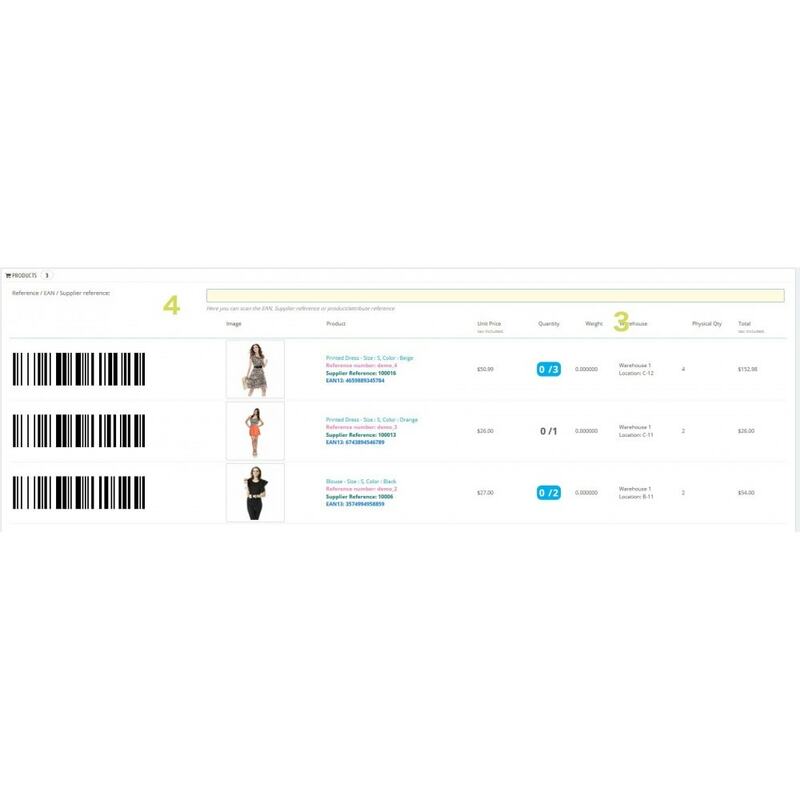 Sometimes when items are not labeled or the label has fallen off the user can visually inspect then scan the Barcode which is generated ON SCREEN. Not all scanners scan computer monitors well. Mileage will vary of course but we have found 100% compatability with Datalogic scanners and compatability with most 2D capable scanners. Installation and Setup take litterally seconds. You only need to choose what status you want the order to change to once packed and ready to ship. Most choose "shipped" but some operations need other statuses prior to reaching shipped status and in the setitngs panel this is available for you to adjust. After installation scan your packing slip, mailing label, or wherever you keep the order# (or type it in) and you are off running with 100% accurate, FAST, order fulfillment, using the same Best Practices of mailing Giants. Quickly and Accurately place, move, and update products in your warehouse. Enter UPC/EAN, Reference, Scan Barcode to quickly find a new home, locate, correct placement for misplaced items, and access current inventory levels. 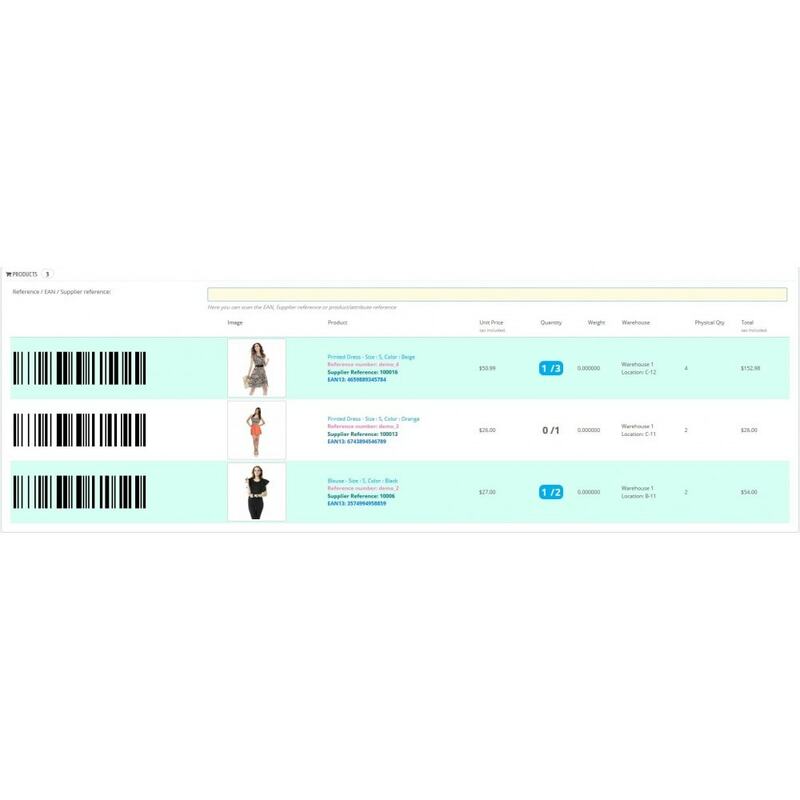 Easily add any affiliate tracking pixel or any other kind of tracking pixel to your order confirmation page. 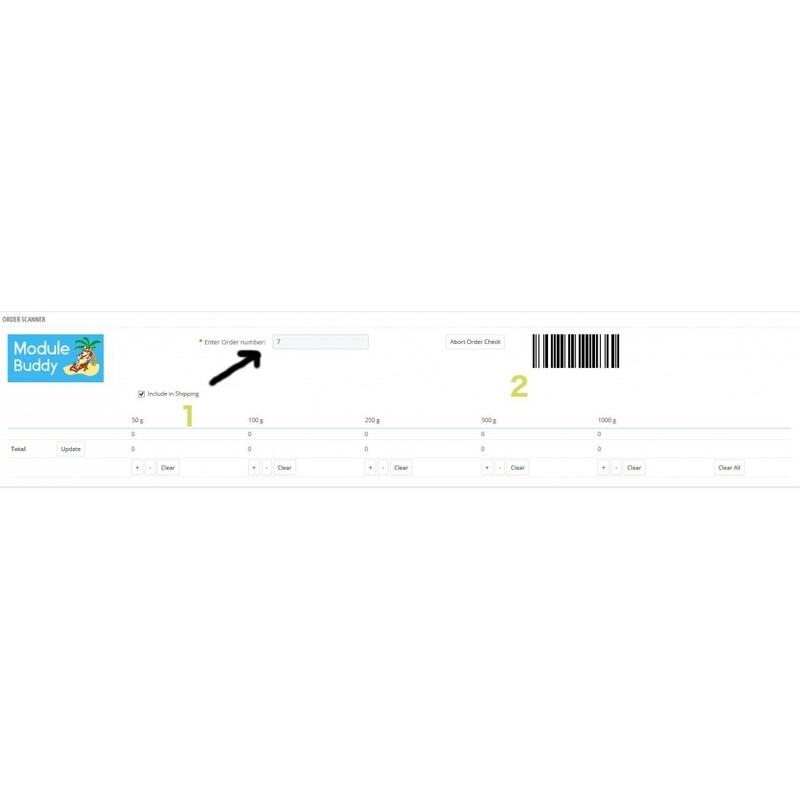 You can insert Order Value Inclusive VAT, Order Value Exclusive VAT, Order Reference and Order ID in the tracking pixel. 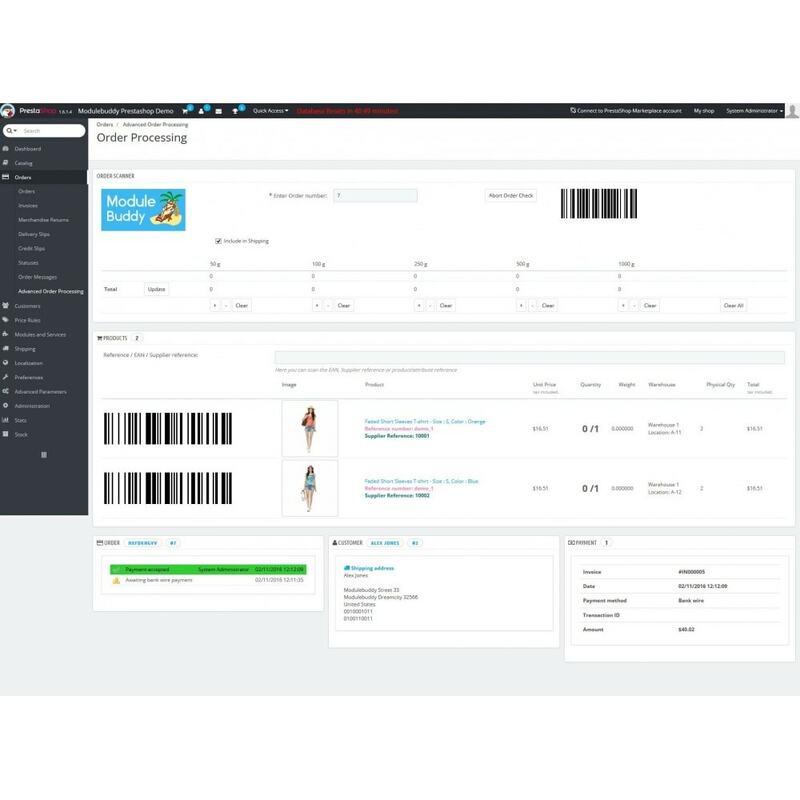 This module will automatically upload a new product page on https://pingomatic.com/, saving you the time and effort to have to do it manually.